When the air turns from crisp to chilly, and a light blanket of snow has begun to appear, I know autumn is ending. The ideal time for me to enjoy a mug of hot spiced cider has arrived. And since I have a large jug of apple cider handy, why not use some to make waffles as well? We enjoyed our apple cider waffles for brunch, with a side of crisp bacon strips. I added some Pumpkin Spice Ice Cream as a topping to my double stack, which made the glaze less necessary. If you prefer syrup to glaze, I recommend trying some cinnamon maple syrup to accent the spice blend in the waffles. Or if you really want the apple cider flavour every which way, you can reduce 2 cups of cider on the stove until it thickens into 100% cider syrup. Combine flour, baking powder, baking soda, spices, and salt in a medium mixing bowl. In a separate bowl, beat together eggs, oil or butter, and apple cider. To make the glaze, whisk together icing sugar with cinnamon. Add 1 Tablespoon cider and melted butter or oil and whisk until a paste forms. Gradually add more cider until glaze reaches desired thinness. To glaze the waffles, dip one side of each waffle into the glaze. 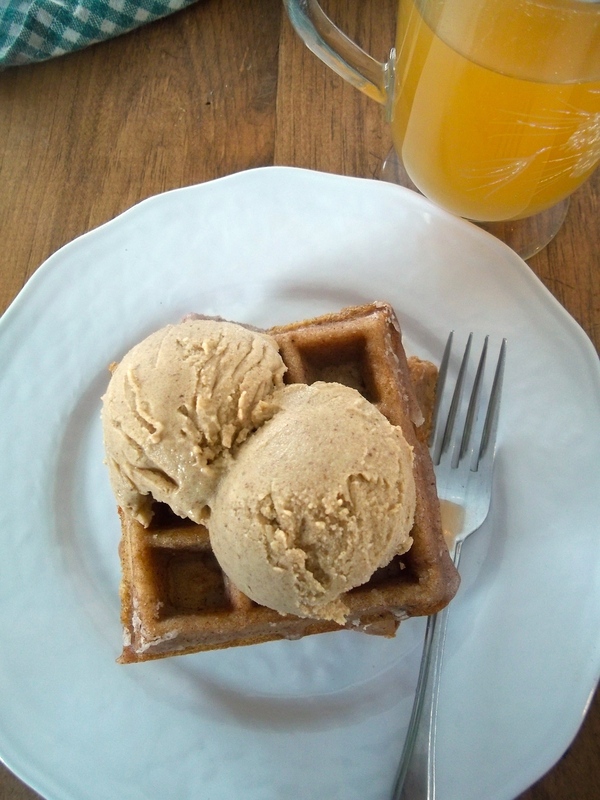 Or serve waffles with cinnamon maple syrup or Pumpkin Spice Ice Cream. I’m sharing this recipe at Allergy Free Wednesdays and elsewhere. Since I haven’t had breakfast yet, this sounds perfect on a day that is wintry here as well. They work well for brunch, lunch, or even dinner. Enjoy! These plus pumpkin spice ice cream??? Unreal. This looks absolutely delicious! I’ll definitely be trying this this weekend!! Thanks, Anna. Next time I might add some dried apples to enhance the fruit flavour even more. 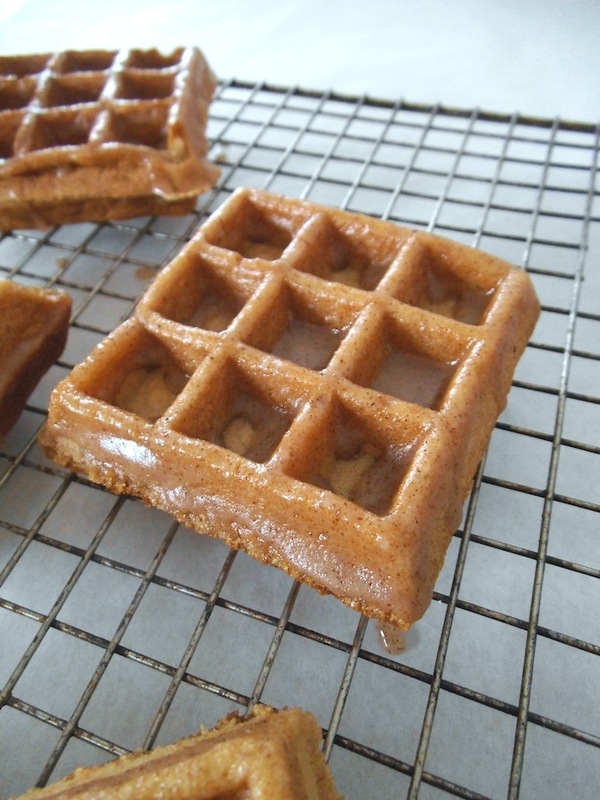 These waffles look fantastic and a perfect breakfast for fall! I love all the spices and combining apple and pumpkin sounds amazing! Wish this were my breakfast this morning especially with the scoops of ice cream!